Congress leaders conducted the ground-breaking ceremony for various projects in the city on Sunday. In the absence of Finance Minister Manpreet Badal, his brother-in-law Jaijeet Johal took part in the ceremony. Projects worth Rs 17.50 crore were kicked off on the occasion. Earlier, Manpreet Badal had to initiate these work, but due to an urgent meeting at Chandigarh, he could not come. 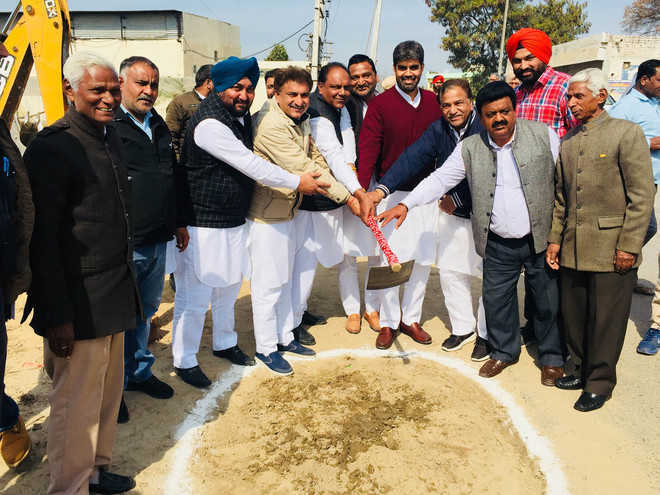 Arun Wadhwan, president of District Congress Committee, Bathinda Urban, Jaijeet Johal, Ashok Kumar, KK Aggarwal, Rajan Garg, Mohan Lal Jhumba, Baljinder Thekedar and Pawan Mani conducted the ceremony for various development projects, including construction at a government school at Paras Ram Nagar at the cost of Rs 2.69 crore, in which 11 new rooms, six laboratories and a new ramp and stairs would be added. Work was also started at the government school at Sanjay Nagar, where 12 new rooms, two laboratories, office, a principal’s room, parking and basketball court are to be constructed at the cost of Rs 2.20 crore. Similarly, work at Kanhiya Nagar government school was also initiated, wherein 12 new rooms, four laboratories, a principal room, kitchen shed, toilet and ramp are to be constructed at Rs 2.15 crore. Also, works worth Rs 1.13 crore were initiated at Hazi Rattan government school, where 10 new rooms, four laboratories, a library, a principal room, toilet and ramp are to be constructed. 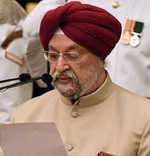 Later, the leaders also started the work of a biodiversity park, which is to come up on Joganand road along the Sirhind Canal at a cost of Rs 1.47 crore. In the initial stage, a boundary wall, walking track, butterfly zone and landscaping of the park would be done. They also conducted the ground-breaking ceremony for the construction work of a road in Adarsh Nagar at the cost of Rs 50 lakh. It is worth mentioning that sewerage laying work was recently completed in the area. 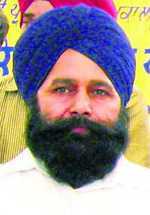 Even the work of laying sewerage in Ward Number 2 at cost of Rs 70 lakh and Kheta Singh Basti at Rs 3 crore was initiated. Apart from these, work of constructing water tank at Pujanwala Mohalla at Rs 1.80 crore was also started. The Congress leaders also inaugurated water works project at the cost of Rs 1.86 crore at Kheta Singh Basti. Later, while addressing the workers, Arun Wadhawan and Jaijeet Johal said the condition of the poor economy state given by the SAD-BJP Government had started improving. They said the promises made would be fulfilled soon and to improve the poor condition of the schools, Finance Minister has given a grant of Rs 18 crore. They also congratulated Manpreet Badal for abandoning the foundation stone culture.